The DAA Principles cover two types of entities—first parties and third parties—that deliver relevant advertising to computers or devices in ways that enrich the consumer online experience. These resources are designed to help companies understand their responsibilities under the DAA Principles and provide implementation guidance. It is possible that a single company or organization may operate in both categories, depending on what activity is being undertaken at a specific time. For this reason, it is important to consider requirements that may apply to your business across the two types of entities. -- Your company is a mobile app publisher or operator with mobile apps where you authorize a Third Party to collect app usage data from your mobile app for interest-based advertising (IBA) purposes. Such app usage data is known as Cross-App Data (CAD). -- Third Parties use CAD to deliver IBA to your mobile app(s). 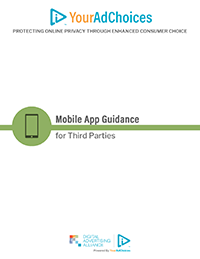 If your company collects web viewing and/or application use data from your website or mobile app and/or from non-affiliated websites or mobile apps for IBA purposes or share any such data with a Third Party for IBA purposes, you should review the Third-Party guidance documents to determine your compliance requirements. 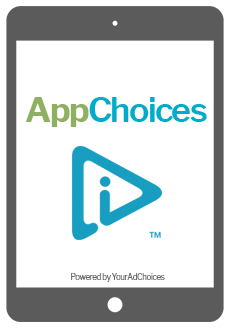 -- Your company collects app usage data across non-affiliated apps over time for interest-based advertising (IBA) purposes. Such app usage data is known as Cross-App Data (CAD). -- Your company shares app usage data with non-affiliated companies for their or others’ use in IBA. -- Your company receives CAD from another party and uses it to engage in IBA. 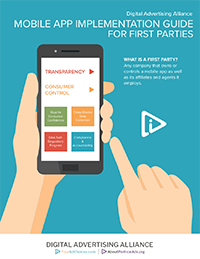 If your company maintains a website or mobile app, you should review the First-Party guidance documents to determine your compliance requirements.